Hear New Music From Mike Oldfield and DaftPunk on Echoes tonight. Daft Punk didn’t play Colbert the other night, but we have them on Echoes, at least their music andit won’t be that over-exposed “Get Lucky” but another track off of Daft Punk’s Random Access Memories. And speaking of electronic music we’ll hear Mike Oldfield Remixed. Tubular Beats takes Oldfield classics into electronic terrain. Here you can see Mike Oldfield performing “Tubular Bells (Night of the Proms)” from his album Tubular Bells. Tonight on Echoes it’s Mike Oldfield Remixed. 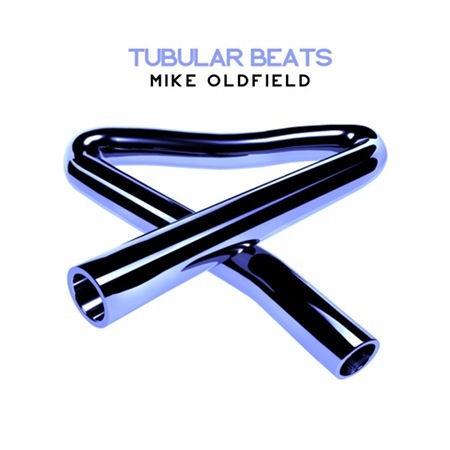 We’ll hear something from a CD called Tubular Beats that takes Oldfield classics into electronic terrain. And speaking of electronic, we’ll hear a track off of Daft Punk’s new CD, Random Access Memories. Here you can see Mike Oldfield performing “Tubular Bells (Night of the Proms)” from his album Tubular Bells. Echoes Celebrates 40th Anniversary of Tubular Bells. It was forty years ago that Mike Oldfield electrified the world with his hit album, Tubular Bells. It had one composition spanning two sides of an LP, and featured Oldfield playing almost all the instruments. We look back at this iconic work that launched Mike Oldfield’s career, Virgin Records, and hundreds of one-man-band recordings. 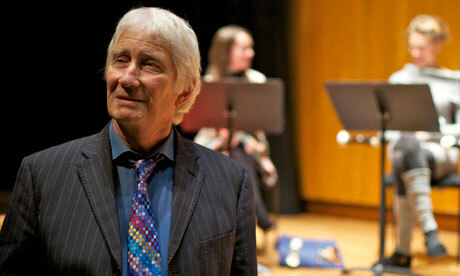 Here you can see Mike Oldfield performing at the 2012 London Olympics. 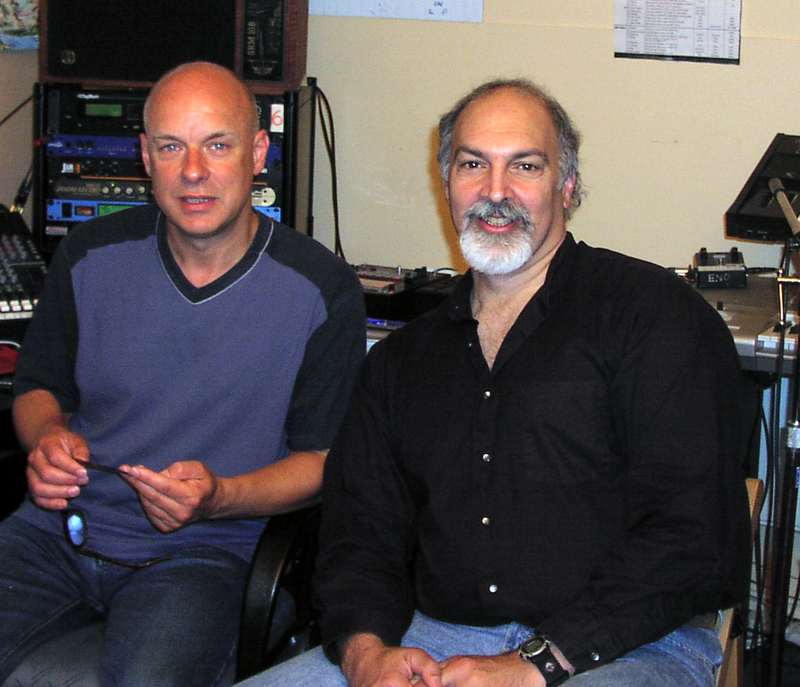 Two Epic Birthdays: Mike Oldfield & Brian Eno. Mike Oldfield & Brian Eno both share birthdays today. Oldfield turns 60 and Eno turns 65. Each artist has shaped the music we hear today. Brian Eno has been the more prolific and expansive, working across genres and attaining massive popular success in each of the last 5 decades through his work with other artists like Devo, Talking Heads, David Bowie, U2, and Coldplay not to mention Roxy Music. 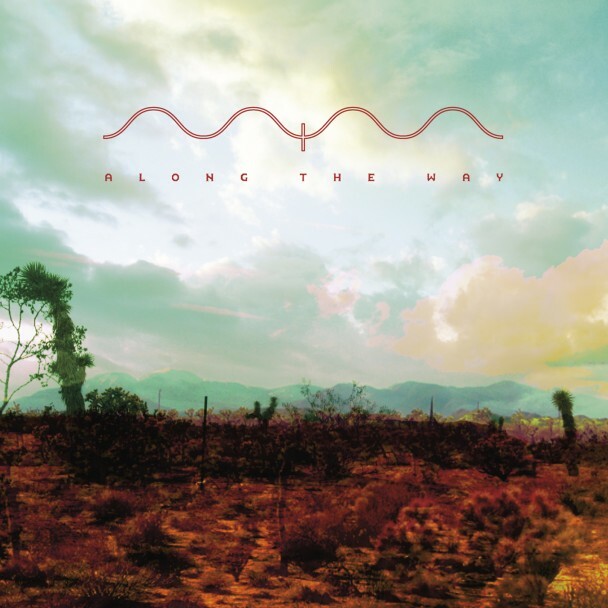 Along the way he created or mid-wifed genres like ambient, techno-tribal and generative music. Mike Oldfield’s reputation still rests on his 1973 epic, Tubular Bells, but he’s recorded many brilliant albums since then, Hergest Ridge, Ommadawn, Incantations, Songs of Distant Earth & Voyager. His remake of Tubular Bells in 2003 was one of the few times a musician succeeded at updating his own work. We’ll be featuring Mike Oldfield on May 20 when we celebrate the 40th anniversary of Tubular Bells. We’ll have interviews with Oldfield, Tom Newman, Brian Eno, The Orb and more, talking about this signature work and the artist behind it. Sometimes I’m amazed at the young musicians we have on Echoes now, but Mike Oldfield was only 20 when the album was released and he’d started it when he was 17 while playing in Kevin Ayers Whole World. Hear the story behind Tubular Bells on Monday, May 20 on Echoes. Here’s a very nice video from the BBC of Mike Oldfield performing Tubular Bells live in 1973. Pretty amazing what you can do without a single computer in sight. Here’s Eno with Leo Abrahams and Jon Hopkins from their sessions for Small Craft on A Milk Sea. This is kind of a gas. The Brooklyn Organ Synth Orchestra is a group of over 20 different NYC female keyboardists playing Tubular Bells on keyboards vintage and new at Joe McGinty’s Carousel Studio in Brooklyn, NY. They vamp it up on the main themes from TB and it’s a lot of fun, especially if you’re a gearhead. Could be an Echoes Living Room Concert in there. Thanks to Dangerous Minds for the pointer. The California Guitar Trio and David Pritchard are acoustic fingerstyle players who aren’t taking the lonley solo route. You can also hear an Audio version of this Echo Location, with music. If you think one acoustic guitar is good, there are some musicians who think 2, 3 or 4 is even better. The California Guitar Trio has embraced this concept. As the name suggests, there are three of them, Paul Richards, Bert Lams and Hideyo Moriya, but despite the name, none of them live in California. They’re graduates of Robert Fripp’s League of Crafty Guitarists and for seventeen years they’ve been making music that sounds like one musician, with 30 fingers. Their new album is a CD of cover tunes called Echoes. They cover Queen’s “Bohemian Rhapsody,” Lynard Skynard‘s “Freebird” (probably in response to smart-assed requests from the audience), and something from a guy named Ludwig Van Beethoven. 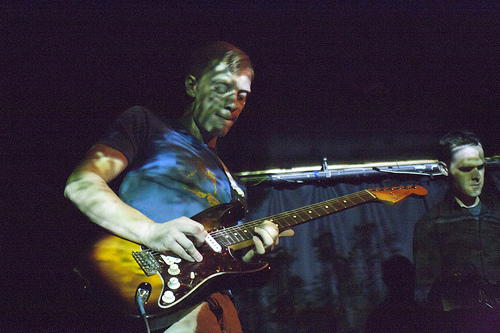 electrics at times and aren’t wary of using some electronic processing and a few other musicians to obtain the sound they want. 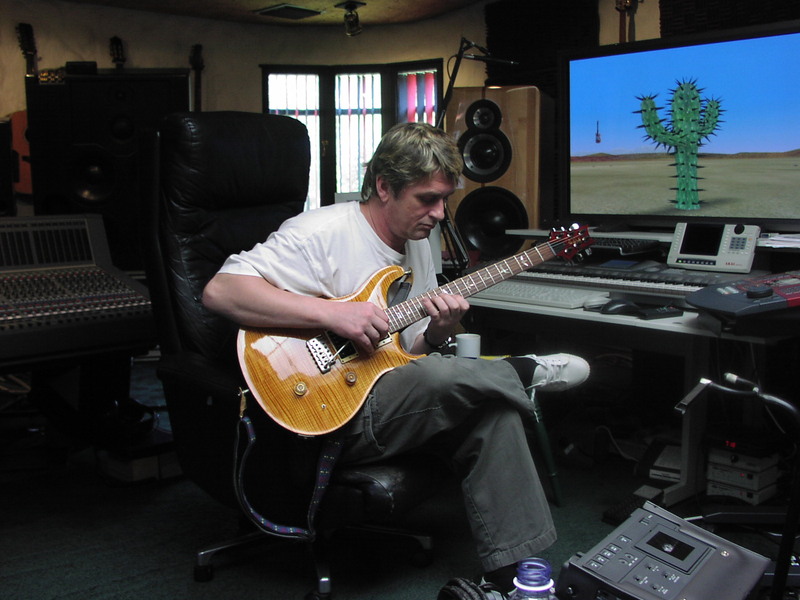 Unlike the California Guitar Trio, David Pritchard actually lives in the Golden State. He started doing the multiple guitar thing just before CGT in 1990 with his album, Air Patterns. Sometimes he plays one guitar. Sometimes he plays five. He’s a jazz guitarist with classical chops composing a lush minimalist music for multiple guitar players, although sometimes they are all named David Pritchard. On the title track to his new album, Vertical Eden, he overdubs himself playing 5 acoustic guitars. But he brings in four other guitarists when he plays live. Like the California Guitar Trio, he’s expanded his palette on CD with other musicians, but multiple guitars, contrapuntal arrangements and what Guitar Player magazine once called “arpeggios from hell,” remain the cornerstone of his music. You can get tangled up in strings with David Pritchard’s Vertical Eden and the California Guitar Trio’s Echoes. You can also hear an Audio version of this Echo Location, soundings for new music.